Big news for fans of The Muppets. 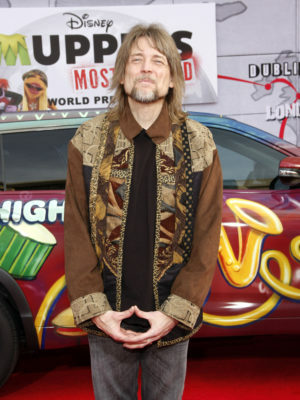 According to ToughPigs, veteran performer Steve Whitmire has left the popular Disney franchise. Whitmire began working on The Muppet Show in 1978. After Jim Henson died in 1990, he became the voice and puppeteer for two of the Muppets’ most legendary characters—Kermit the Frog and Ernie from Sesame Street. Whitmire’s other Muppet characters include Rizzo the Rat, Beaker, and Statler. It’s unclear why Whitmire has left The Muppets, but Disney has confirmed that Matt Vogel will be the new performer for Kermit and will make his debut in next week’s “Muppets Thought of the Week.” The web series is available to watch on YouTube. What do you think? Are you a big fan of the Muppets? Are you sad Steve Whitmire is leaving? More about: The Muppets, The Muppets: canceled or renewed? Yes it’s Disney caused totally destroyed the Muppets! Years and years of blunders by the staff and the person now it’s the one or the sky left! You totally destroying the Muppets with the art this is better off selling them off completely because what was the name of it is no longer! I’m very angry what they did to the Muppet!!!!!!!!!! Yes that is so sad that he won’t play Kermit anymore. I love Kermit from the Muppets. I just hope the new person that plays Kermit sounds like this person who played Kermit.